© 2018 Stuart McNeil. All rights reserved. 3 Aug Filed under Uncategorized. Tagged IFTTT, video, YouTube. Bookmark the permalink. Donald Trump’s Russia speech on drums, sax and piano https://youtu.be/Cds7dU7xXSA Trump is making music great again! 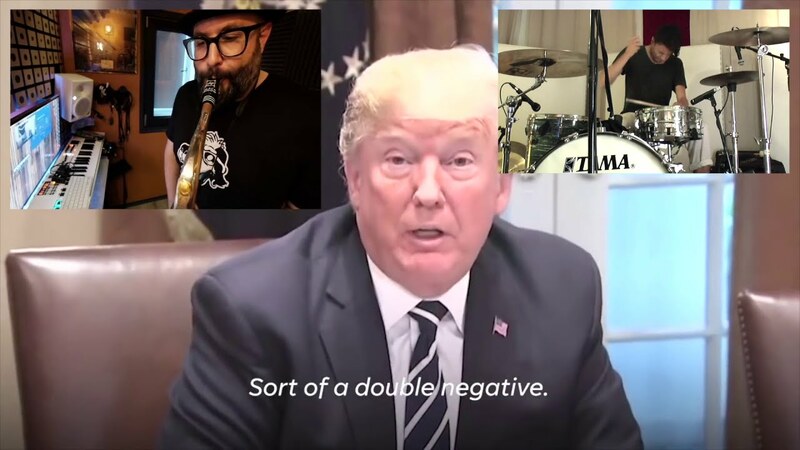 Axel Müller came up with this brilliant saxified version of Donald Trumps weird ‘Would Instead of Wouldn’t’-Speech, Chris Nemet added Piano and I just had to lay some drums down to it. Aphex Twin – T69 Collapse https://youtu.be/SqayDnQ2wmw WARNING: CONTAINS STROBING.